Are you missing one or more of your natural teeth? Ask Dr. Nguyen about dental implants. Dental implants replace your tooth and root and become a permanent part of your smile. Our team at Always Dental Care is thrilled to treat patients of all ages. We will provide you and your family with all of the dental care you need to reach healthy, functional smiles. If you are not pleased with the appearance of your smile, ask our dentist about cosmetic dentistry in Phoenixville, PA. Cosmetic dentistry will help you reach the smile of your dreams. Welcome to Always Dental Care, the finest in dental care for you and your family. Dr. Truong Nguyen has been providing dental care in Phoenixville, Pennsylvania, and the surrounding areas of Pottstown, Gilbertsville, Oaks, Springfield, Devon, Spring City, Philadelphia, King of Prussia, Audubon, and East Norriton, Pennsylvania, for 11 years. We understand that a lot of people fear going to the dentist and that’s why we make every effort to make your experience as relaxing and pleasant as possible. We provide dental treatments including: extractions, teeth whitening, white dental fillings, root canals, crowns, bridges, dentures, implants, cosmetic dentistry, deep cleanings, emergency care, etc. No matter what your dental needs are, we are here to take care of you. Patient satisfaction is our goal. We have late evening and Saturday hours to fit your busy schedule. Please explore our website to learn more information about us and our office hours. Call us today to schedule your appointment with our dentist and we promise that you will be so happy that you made this call. With over 10 years of dental experience, Dr. Truong Nguyen works at the Always Dental Family & Cosmetic Care at Oaks. He is a graduate of New York University School of Dentistry and has completed his residency at Wyckoff Heights Medical Center. 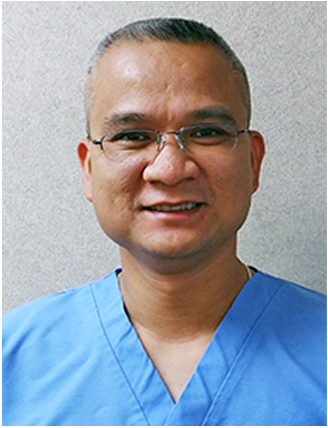 Dr. Nguyen’s interests include playing soccer, bowling, and traveling. In his spare time, Dr. Nguyen enjoys spending time with his family and playing poker with his friends.